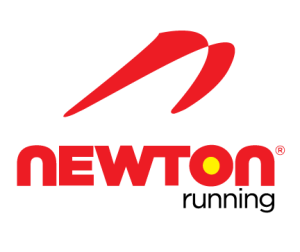 Newton Running is an American sportswear manufacturer primarily known for its running shoes and apparel. With Big Apple Buddy’s personal shopping service, you can now buy direct from the USA Newton Running Online Store anytime, anywhere. Newton Gravity IV: The Newton Gravity IV is the latest edition in the Newton Gravity series. Ideal for runners who have medium to high arches, this edition is an improvement on the Gravity III. You can cover long distances without any stress on your feet or knees. It facilitates comfortable and natural running with the latest 5 lug system. Available in men and women colors and sizes, this pair is recommended by regular runners, due to its multitude of features notwithstanding its light weight. Newton Motion IV: Tailor-made for flat footed runners, this pair provides the perfect amount of balance and support, allowing runners to perform as well as those with long foot arches. The best part about these shoes is that they provide a comfortable fit and are flexible to shocks. Their durability facilitates running for long periods; they are not easily exposed to wear and tear. The Newton Motion IVs are made for gravel, track and road running and would be ideal for anybody training everyday on a running track or the city streets. Newton Distance S IV: Known for its significant technological improvements, the Newton Distance S IV comes with a POP platform and lugs that store energy and give you a jumpstart by releasing this stored energy. Created to compliment mid-distance sprints and speed training, these shoes provide greater support and balance to runners with feet on the flatter side. Their versatility allows almost any type of runner to fit into them, and provides flexibility, comfort and motion control while running or sprinting. 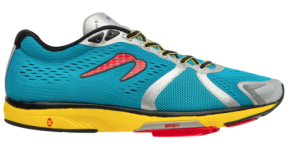 Newton Kismet: The Newton Kismet is ideal for any type of running or athletic activity. Its structural versatility enables a comfortable fit for all types of feet, flat footed or long arched, and its functional versatility allows it to improve performance in daily training on the treadmill or outdoors. These shoes primarily cater to stability and durability, while still being lightweight enough to ensure comfort and provide adequate cushioning. If you find yourself participating in varied running activities, the Newton Kismet is ideal for you. Newton Fate: The Newton Fate is a great pair of shoes for daily training, customized to enhance running experience with high protection and cushioning. Primarily functional on track or gravel, these shoes are adaptable for use on most terrains. Its technological features contain an ETC sockliner that has anti-bacterial and anti-frictional properties, and adds to comfort for the underside of the foot. With its lightweight, durability and comfortable fit, the Newton Fate is well suited for regular training. 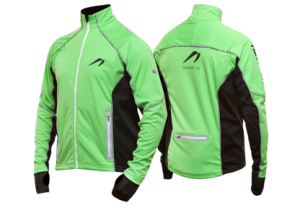 Newton Speedster Hoodie: The Newton Speedster Hoodie is made with a full-stretch fabric that facilitates breathability within it, without sacrificing warmth. 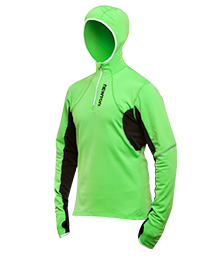 It is a multipurpose pullover that is durable enough for all conditions. For runners who don’t like to sacrifice training in due to cold weather or overcast conditions, this hoodie is a savior. Newton Firewall 180 Jacket: Newton Firewall 180 jacket lightweight thermal knit laminate that protects against strong wind and rain. Its lycra cuffs keep wind and snow out and prevent sleeves from rolling inwards. It also contains 2 comfortable front pockets so as to access the dual adjustable shockcord and a reflective stretch ribbon that facilitates visibility in low light. Newton Men’s Tri Short: The Newton Men’s Tri Short is made out of low drag fabric and contains a hydrodynamic design to enable comfort and enhance running performance. Its comfortable flat seams enable a low profile fit. Rounded off with a stitch free smooth finish at the leg opening, the Tri Short is great for serious runners looking to maximize performance. Unfortunately, the USA Newton Running online store does not currently offer international shipping. However, Big Apple Buddy, your personal shopper, can help you buy products direct from the official USA Newton Running Online Store and ship them to your doorstep, no matter where you are in the world. We offer international shipping to over 190 countries including Australia, Austria, Bahrain, Belgium, Bosnia & Herzegovnia, Brazil, Brunei, Canada, China, Croatia, Cyprus, Denmark, Estonia, Finland, France, Germany, Hong Kong, Hungary, India, Indonesia, Ireland, Israel, Italy, Japan, Kenya, Kuwait, Lithuania, Macau, Malaysia, Maldives, Mexico, Namibia, Netherlands, New Zealand, Norway, Oman, Pakistan, Philippines, Portugal, Saudi Arabia, Scotland, Serbia, Singapore, Slovenia, South Africa, South Korea, Spain, Sri Lanka, Sweden, Switzerland, Taiwan, Tanzania, Thailand, UAE, UK and Ukraine. If you would like to buy from the USA Newton Running Online Store, simply let us know which items you would like to order (by filling out the form on the right) and we’ll get back to you with a free international shipping quote within 24 hours!